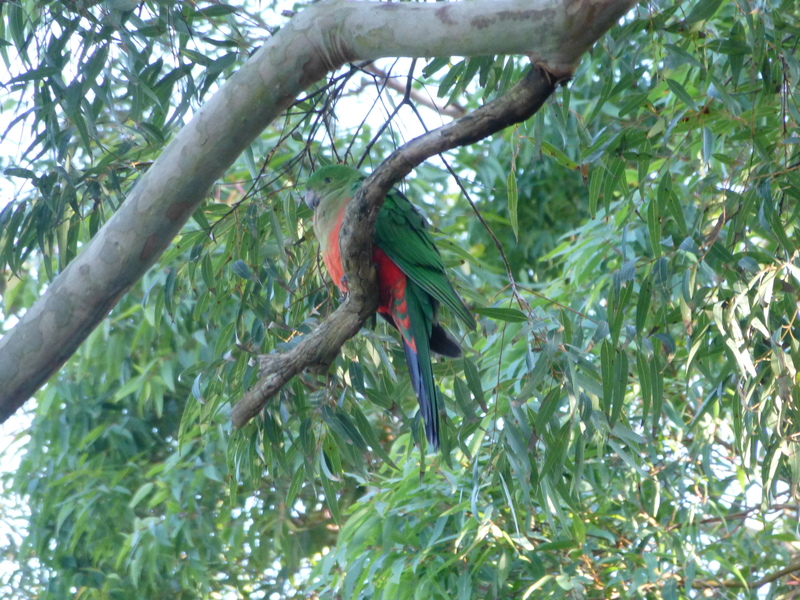 Although officially listed as common in our local park, these magnificent parrots make themselves scarce when I’m around. So it is a real treat to be able to capture the image of this beautiful male. 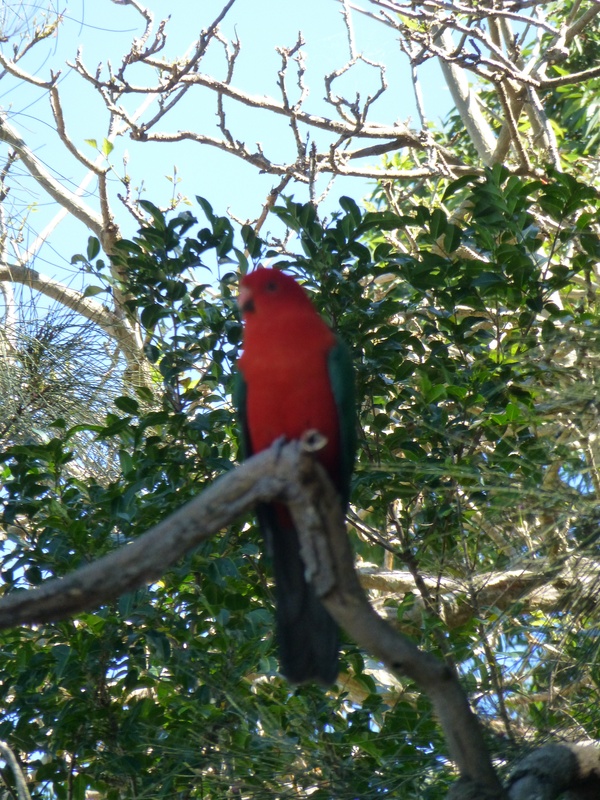 Today’s sunny, cool conditions brought with it an abundance of activity by the native birds in our local bushland park. Cockatoos, rainbow lorikeets, magpies, kookaburras: you name it: were out in force, delighting the unusually high number of mid-week visitors. 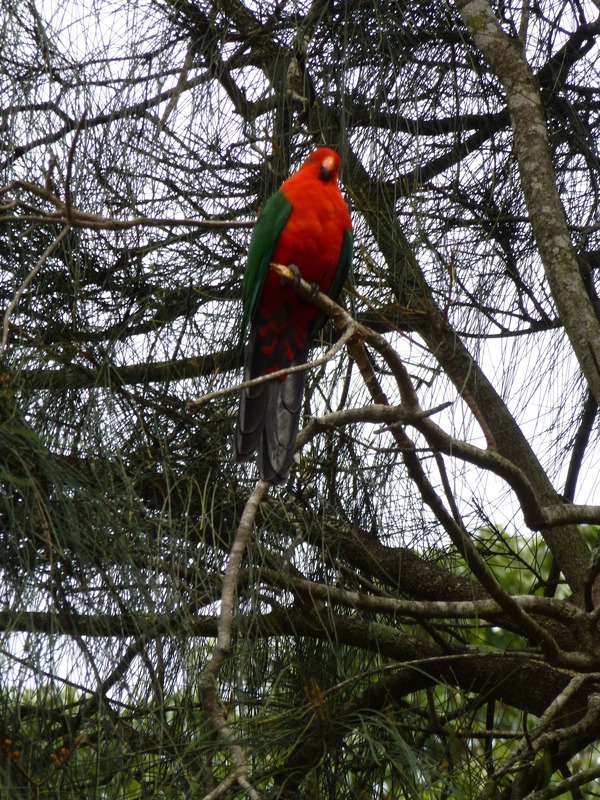 What pleased me most of all, though, was the presence of that most spectacular bird, the King Parrot. Though these are sometimes quite camera-shy, hiding in the shadows of the tall gum trees, I have been lucky enough to capture some photographs.